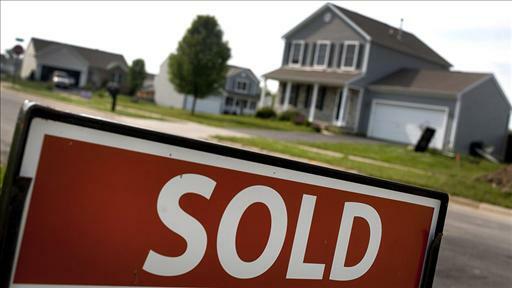 Properties sold faster in March — at a median of 55 days — due to low inventories of homes for sale nationwide, according to the latest REALTORS® Confidence Index. The index is based on a survey of more than 3,800 REALTORS® about their transactions in March. Short sales were on the market the longest, for 112 days in March compared to 98 days in February, according to the report. Foreclosed homes were on the market for 55 days. About 37 percent of real estate professionals report that properties sold in March had been on the market for less than a month. In February, 34 percent of practitioners reported the same. Buyer traffic was also up in March, although demand was softer than a year ago, according to the report. Still, REALTOR® confidence about current market conditions ticked up in March, reflecting a typical seasonal increase. Their confidence about the outlook for the next six months also improved but is lower than what it was a year ago, according to the report. The biggest concerns among REALTORS® remain low levels of inventories, tight credit conditions, and uncertainty about flood insurance regulation, according to the REALTORS® Confidence Index. REALTORS® continue to be confident that prices will increase over the next 12 months but at a “modest pace.” They expect prices to increase at a median of about 4 percent over the next 12 months. The states that have the most optimism about price increases — expecting increases of about 5 percent to 7 percent over the next 12 months — are California, Oregon, Nevada, Georgia, Florida, and Hawaii. States that expect a 3 percent to 5 percent price increase are Washington, North Dakota, Texas, Michigan, New York, and the Washington, D.C., metro area. “Low inventory compared to demand is expected to continue to buttress prices, as well as the declining share of distressed sales in the market,” the report notes.